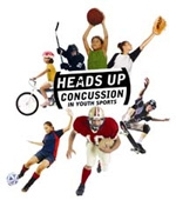 Each year, all Western managers, coaches, umpires, and board members are required to complete the CDC’s “Heads Up” Concussion Training program prior to the start of the season. This training is a free online course available to coaches, parents, and others helping to keep athletes safe from concussions. It takes about 30 minutes to complete. Please click here to complete the training. IMPORTANT!!! When you complete the training, you must email your certificate of completion to WDLL Safety Officer Kari Bulthuis. Otherwise, you may be forced to complete the training again. If you have any questions, please contact WDLL Safety Officer Kari Bulthuis at safety@westernduluthlittleleague.org. Get a Heads Up: What is a Concussion?